This week, our #FollowFriday woodworker is Charlie Bridges, our April Show Us Your Shop contributor from Hartsville, TN. He created his shop about 6 years ago in order to further his woodworking hobby. It is located in a 24×24 garage, which he uses half for his shop and the other to work on his car. 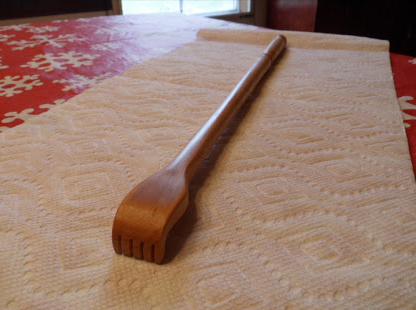 Below are several more of his woodworking projects. Feel free to email Charlie at cmmchuck@gmail.com with any questions or comments! 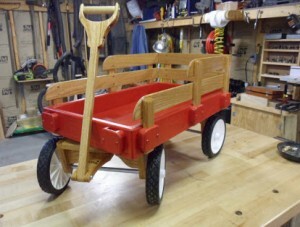 Made this wagon for my granddaughter for Christmas. 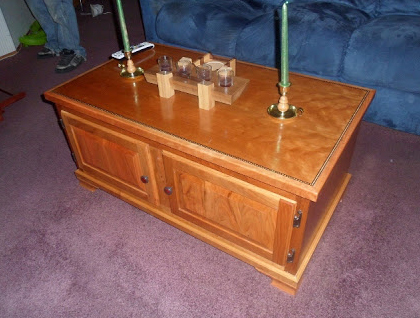 A coffee table made from cherry plywood and solid cherry. This is a end table also made from cherry plywood and solid cherry to match the coffee table. 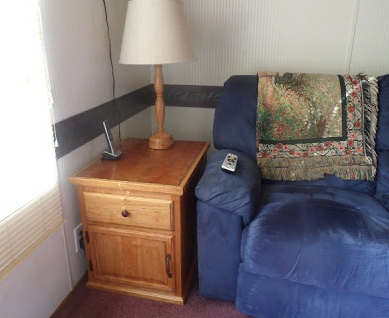 I also made the lamp from cherry. 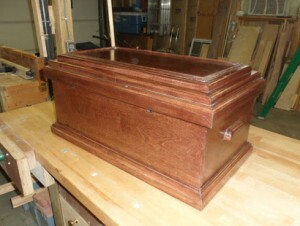 A pet casket for a friend. His dog is getting old. A back scratcher made from a piece of cherry. Just playing around with the lathe one day. 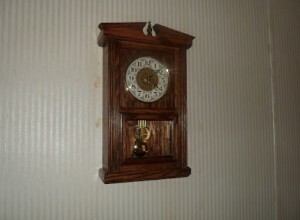 Chiming wall clock for the living room.